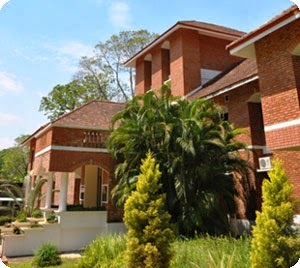 Kerala Forest Research Institute (KFRI) was founded in 1975 for conducting research on tropical forests and forestry. KFRI became a part of the Kerala State Council for Science, Technology and Environment (KSCSTE) along with five other R&D Centres of the State, when the KSCSTE was constituted in 2002. KFRI has three nurseries at Peechi, Nilambur and Velupadam, which are well equipped for seedling production of over 80 species of plants of which majority are indigenous tree species. Kerala Forest Seed Center (KFC), a wing of KFTI collects seeds of trees for supply to forest and other government departments, non governmental agencies, farmers and others.